Following a recent WADA warning concerning the substance GW501516, banned under its rules since 2009 and linked to potentially lethal health issues, the first case in cycling has been announced today by the UCI. The governing body has stated that the Rusvelo rider Valery Kaykov is provisional suspended in relation to the black market substance, which was never cleared for human use. “The decision to provisionally suspend this rider was made in response to a report from the WADA accredited laboratory in Köln indicating an Adverse Analytical Finding of metabolite GW1516 sulfone – Metabolic Modulator in a urine sample collected from him in an out of competition test on 17th March 2013,” stated the UCI in an announcement. It added that Kaykov would remain suspended until such time as a hearing panel of the Russian Cycling Federation ruled on his case, and that the rider could request and attend the analysis of his B sample. 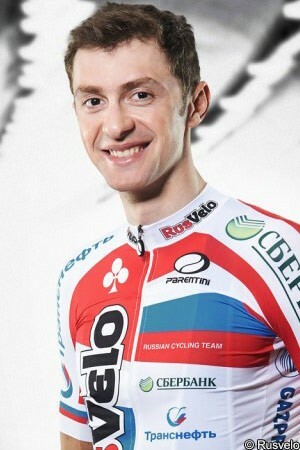 He has been racing with the Rusvelo team for the past two seasons. Last year he finished third in the Russian time trial championships, one minute and ten seconds behind Denis Menchov (Katusha). He was also 22nd in the 1.1-ranked Coppa Bernocchi. Responding today, the Rusvelo said that it had terminated his contract and insisted that its main ideology “is zero tolerance to doping in cycling. We do support clean cycling and we will stick firmly to our policy,” it said. A little over two weeks ago WADA issued a rare warning to all athletes, speaking about severe consequences of using GW501516 [also known as GW1516 - ed.]. “The side effect of this chemical compound is so serious that WADA is taking the rare step of warning “cheats” to ensure that there is complete awareness of the possible health risks to athletes who succumb to the temptation of using GW501516 for performance enhancement,” it stated then. It is understood that the substance has been linked to the spread of tumours. According to New Scientist, the original manufacturers GlaxoSmithKline abandoned its development in 2006 after serious effects were detected in rats used as the first test subjects. It was determined that in all doses, the drug quickly caused tumours in a number of organs, including the liver, bladder, stomach, skin, thyroid, tongue, testes, ovaries and womb. VeloNation contacted WADA this week and was told two days ago by its communications director Julie Masse that they were actively investigating use of the substance. “The cases are ongoing,” she said then, saying that under WADA rules she couldn’t speak further on the matter prior to the conclusion of the proceedings. She did not specify if the positive cases related to cycling, but today’s news confirms that at least one case pertains to the sport. It remains to be seen if more cases are pending in cycling. The substance regulates fat burning, shifting the body’s metabolism to use increasing amounts of fat for energy and increases muscle mass. It is believed used by some in combination with another banned substance AICAR, giving an even greater effect in losing body fat and increasing endurance.